To preserve your cardiovascular health, you have to be interested in what you eat. The diet must be varied. You can eat everything, but not excess, and favor the foods that are good for your arteries. Source of sensory and emotional pleasures, food is a vital need. Individuals' dietary choices, both in everyday life and on special occasions, are influenced by their personal tastes, living environment, education, values, and beliefs says Dietician Sheela Sherawat of Diet Clinic. Health is strongly linked to the quality of the weight loss diet. Here are some sensible tips to keep your heart healthy. Eat a lot of fruits and vegetables - Fruits and vegetables are excellent allies for cardiovascular health. They contain nutrients that are good for the heart, such as fiber and antioxidant vitamins. Try to eat between 7 and 10 servings of fruits and vegetables a day to take advantage of their cardio-protective benefits. Eat a lot of fish - Do you like fish? This is good because it is the best source of omega-3 fatty acids, nutrients that are highly beneficial to heart health. Other foods containing impressive amounts of omega-3s: seafood, linseed oil or seeds, walnuts, soy, eggs, margarine, and so on. Consume enough fiber - Most people do not eat enough fiber. It is estimated that a healthy adult should consume 21-38 grams per day in customized diet plans; in practice, the average person eats about 14 g per day. Fiber has many health benefits. Among other things, they promote better cholesterol levels and lower the risk of heart disease and stroke. Adopt a "Healthy diet" - Some diets or diets have been proven to reduce the risk of cardiovascular disease. This is the case, for example, with the DASH diet and the Mediterranean diet. These diets make a significant contribution to high-fiber foods (fruits, vegetables, whole grain cereals, legumes, nuts, etc.) and protein (fish, seafood, lean meats, etc.). Salt and fat damage the heart - Among the enemies of our heart unanimously pointed out by the experts, including salt and fats. We eat too salty food. Arteries in poor condition cause hypertension, hypercholesterolemia. One of the common denominators of cardiovascular disease is salt. We eat an average of 8.5 gram per day and per capita, while the World Health Organization's recommendations are 5 gram. The choice of fats is decisive - Another key to a healthy heart is fat. Here again, fish rich in omega 3 must be eaten at least twice a week. They help to thin the blood. And when you eat these fats, you limit the consumption of saturated fatty acids. Some saturated animal fats increase blood cholesterol. Butter and cheese no more than 30 g per day is to be consumed. The meat consumption should be moderate, around 400 g per week for an adult. 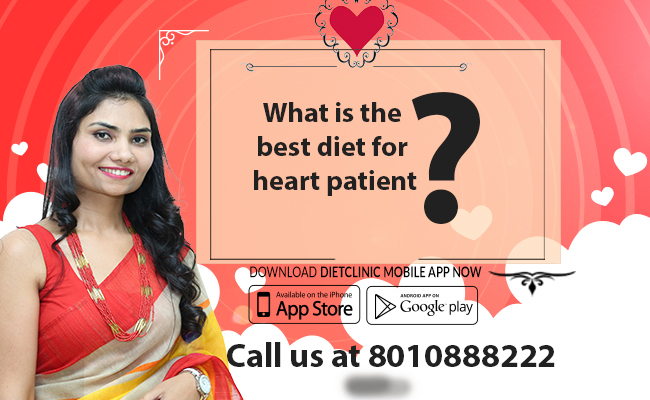 Diet to reduce cholesterol For the Best Dietitian In Delhi, the choice of vegetables is not trivial when it comes to preventing cardiovascular disease. You must not miss vitamin B9. Its deficit is reflected in a high level of homocysteine in the blood, an amino acid marker of risk of myocardial infarction, venous thromboembolic disease or stroke. Promote foods rich in vitamin B9. All green vegetables contain vitamin B9. Dietitian advises consuming green salad every day. It's not necessarily the most important source of vitamin B9, but it allows a moderate, daily intake that is not impaired by cooking and provides fiber. It is also recommended to consume vegetables and dried fruits since these foods also provide the body with potassium, magnesium and a little calcium, which promotes the dilation of the arteries.